Terra Forming Terra: Sixty Million Mortgages Kaput? The idea that a commercial contract can be entered into such that one side of the agreement is shielded totally from discovery is outrageous and an invitation to abuse. Yet a straw man called MER was central to the securitization of mortgages. A judge has now ended this nonsense. I said months ago that the lenders needed to renegotiate their mortgages to ensure that they retained their customers. That is now their only escape, once the legal profession takes this and runs with it. They were dumb enough to create this disaster, and dumber still to make it a dominant part of their business. Even dumber is to stand around waiting for the sheriff to come. Most shocking to me is the stunning lack of vision and ability been demonstrated for all the world to see. The invisible hand of the market is shifting the balance of power back to the borrowers very decisively and perhaps the lenders will learn the type of humility learned by their great grandfathers in the early twentieth century. A landmark ruling in a recent Kansas Supreme Court case may have given millions of distressed homeowners the legal wedge they need to avoid foreclosure. In Landmark National Bank v. Kesler, 2009 Kan. LEXIS 834, the Kansas Supreme Court held that a nominee company called MERS has no right or standing to bring an action for foreclosure. MERS is an acronym for Mortgage Electronic Registration Systems, a private company that registers mortgages electronically and tracks changes in ownership. The significance of the holding is that if MERS has no standing to foreclose, then nobody has standing to foreclose – on 60 million mortgages. That is the number of American mortgages currently reported to be held by MERS. Over half of all new U.S. residential mortgage loans are registered with MERS and recorded in its name. Holdings of the Kansas Supreme Court are not binding on the rest of the country, but they are dicta of which other courts take note; and the reasoning behind the decision is sound. The development of “electronic” mortgages managed by MERS went hand in hand with the “securitization” of mortgage loans – chopping them into pieces and selling them off to investors. In the heyday of mortgage securitizations, before investors got wise to their risks, lenders would slice up loans, bundle them into “financial products” called “collateralized debt obligations” (CDOs), ostensibly insure them against default by wrapping them in derivatives called “credit default swaps,” and sell them to pension funds, municipal funds, foreign investment funds, and so forth. There were many secured parties, and the pieces kept changing hands; but MERS supposedly kept track of all these changes electronically. “[MERS] has reduced transparency in the mortgage market in two ways. First, consumers and their counsel can no longer turn to the public recording systems to learn the identity of the holder of their note. MERS as straw man lacks standing to foreclose, but so does original lender, although it was a signatory to the deal. The lender lacks standing because title had to pass to the secured parties for the arrangement to legally qualify as a “security.” The lender has been paid in full and has no further legal interest in the claim. Only the securities holders have skin in the game; but they have no standing to foreclose, because they were not signatories to the original agreement. They cannot satisfy the basic requirement of contract law that a plaintiff suing on a written contract must produce a signed contract proving he is entitled to relief. Boyko ruled that Deutsche Bank had not filed the proper paperwork to establish its right to foreclose on fourteen homes it was suing to repossess as trustee. Judges in many other states then came out with similar rulings. “The sole goal of the [bailout schemes] is to prevent owners of mortgage-backed securities, many of them foreigners, from suing U.S. banks and forcing them to buy back worthless mortgage securities at face value – right now almost 10 times their market worth. The ticking time bomb in the U.S. banking system is not resetting subprime mortgage rates. The real problem is the contractual ability of investors in mortgage bonds to require banks to buy back the loans at face value if there was fraud in the origination process. “. . . The catastrophic consequences of bond investors forcing originators to buy back loans at face value are beyond the current media discussion. The loans at issue dwarf the capital available at the largest U.S. banks combined, and investor lawsuits would raise stunning liability sufficient to cause even the largest U.S. banks to fail, resulting in massive taxpayer-funded bailouts of Fannie and Freddie, and even FDIC . . . . The pirates seem to have captured the ship, and until now there has been no one to stop them. 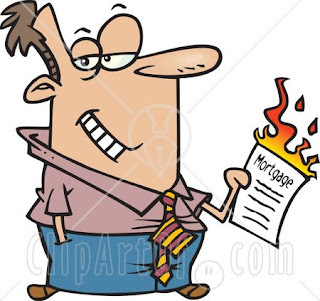 But 60 million mortgages with fatal defects in title could give aggrieved homeowners and securities holders the crowbar they need to exert some serious leverage on Congress – serious enough perhaps even to pry the legislature loose from the powerful banking lobbies that now hold it in thrall. A loan modification program helps people who are having some troubles paying for their mortgage - these programs assist individuals to retain and keep their house or property against foreclosure.